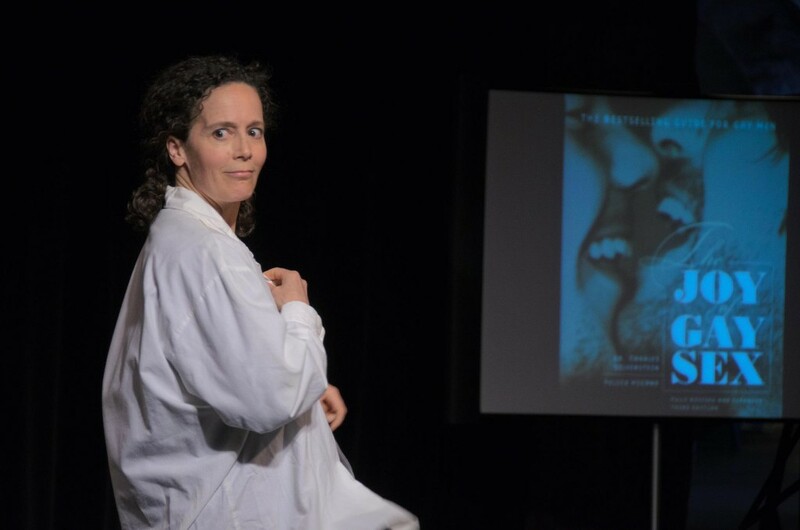 Alison Wearing is an author, musician, and theatrical actress based in Stratford Ontario whose first book was the internationally acclaimed travel memoir Honeymoon in Purdah: An Iranian Journey. Her latest book is another compelling memoir called Confessions of a Fairy’s Daughter – Growing Up with a Gay Dad, which she has adapted into an award-winning one-woman show. The Eden Mills Writers’ Festival and the Bookshelf present Confessions of a Fairy’s Daughter – Growing Up with a Gay Dad at the Ebar on Friday May 23 and here, Alison and I discuss what it’s like living in the Shakespearean-flavoured, welcoming town of Stratford, which came first, Confessions the book or Confessions the play, how this story resonates with people whose families aren’t “normal,” how families aren’t ideal or perfect but their challenges are healthy, Canada’s coming out, the remarkable elements at Alison’s disposal to tell this story about her father and her family, the box of treasure, making it with a Roman Catholic priest, terror and joy, what her family has made of Alison’s one-woman show and book, her brothers’ low profile in the book, the devastating and arresting section about Alison’s mother in this book, how we’re often ready to write our stories before we’ve written one word, academics are unreadable, her parents’ musical interest and its influence on her writing, the Liberal Party of Canada and bonding with Pierre Elliott Trudeau about China, empowering others with Confessions, we all find ourselves, selfishness and truth, my parents and my sister, Alison’s unforgiving aunt, connecting with others to accept their anger, truth and pride, how the book compares to the show, the book’s impact on one’s croissant consumption, Alison’s next book project about children and Mexico and when she’ll actually have time to finish it, the long shelf life that books have, and that was all.